What a great success Trove Tuesday was. If you would like to see all the posts from last week, go to Amy Houston’s blog Branches, Leaves and Pollen . For the purpose of Trove Tuesday, I have decided to work through some of the “tags” I have at Trove. I tag a lot of articles for no other reason than I find them interesting. As a result, I have a lot of tags. It is a type of online hoarding. I can’t get rid of them because you never know when I might need them. So, along with posting them here, I have created a list at Trove entitled “Miscellaneous“. Like I need another list, but I do find them useful for certain types of information gathering. Tags are great for others such as collecting obituaries for the monthly Passing of the Pioneers. Importantly, I am going to put a note on each list entry about the subject of the article so I can easily find them again when I view the list. That is a tip from my upcoming book “Learning the Hard Way”. As I have used Trove pretty much from the beginning, I have forgotten a lot of the articles such as the one I have chosen this week. I had tagged it with “Bochara sleepwalking shearer 1876”. Understand why I need to do some work on my tags? Bochara is just out of Hamilton. This entry was posted in Trove Tuesday and tagged Bochara, Trove. Bookmark the permalink. What an amazing story Merron. 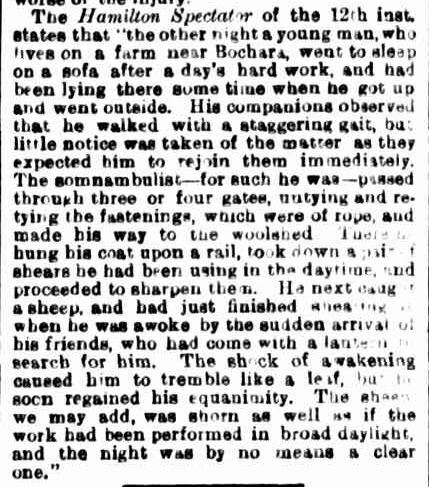 The poor fellow must have been a bit overworked though, to be able to do all that in his sleep he must have been very familiar with it. 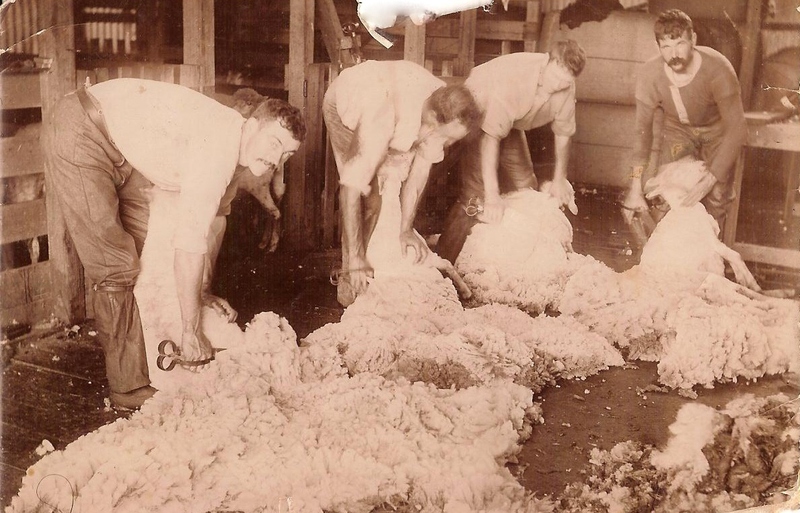 Shearers must be the hardest workers in the world I think. Thank you Aillin. It really is an amazing story.